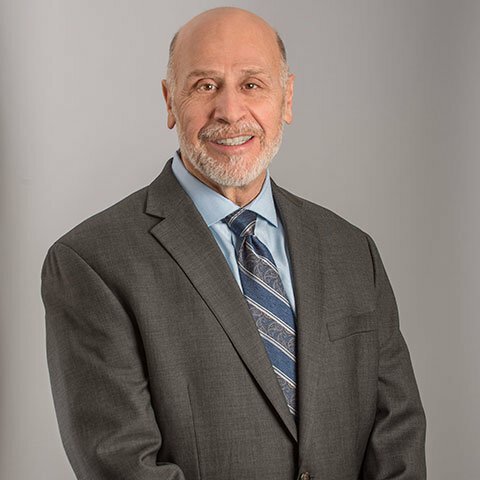 C. Richard Panico began his professional career in 1973 at Johnson & Johnson in Chicago. He served in the manufacturing, engineering, and maintenance groups of the Consumer Products Division, eventually rising to a senior management position in the Personal Products Division. As he became a leader within the company’s operations organization, Rich developed a reputation for building strong, cohesive teams; promoting high standards of quality and performance; and emphasizing the value of relationships based on honesty and trust. After 15 years of service, Rich left Johnson & Johnson to dedicate himself to a new business venture. Recognizing a pressing need across industries for top-drawer project execution, Rich founded Integrated Project Management Company, Inc. (IPM) in 1988. He has served as the company’s President and Chief Executive Officer ever since. Reflecting the culture of integrity that Rich instills, IPM has been recognized over the years with multiple awards, including one of Forbes’ 25 Best Small Companies in America, and multiple years as one of the Best Small and Medium Workplaces by Great Place to Work® Institute and Fortune magazine. View a complete list of IPM’s awards. Rich is regularly recruited by organizations to present his philosophies on ethical conduct, organizational culture, strategy execution, and project management excellence. In 2015, he was a panelist at the Inc. 5000 Conference, speaking on the topic of growing a 100-year business. He contributed to the books Entrepreneurship: Values and Responsibility, The Integrity Dividend: Leading by the Power of Your Word, and Lenses of Leadership: A Call to Action. A member of Heartland Angels Inc., an early-stage private-equity group, Rich regularly advises budding entrepreneurs on how to launch their businesses based on ethical precepts. In 2011 and 2014 Rich was appointed to the boards of Midtronics, Inc. and Micron Industries for his ability to provide leadership insight to these companies. I believe that leadership is about dreaming, caring, committing, and achieving. Serving in a leadership role should be a vocation, not a job; it is an endeavor fueled by our hearts and intellects. I consider myself very blessed to have been able to pursue my dreams. I am also blessed that my mom, dad, and older sister immigrated to the United States. My dad was born in Chicago, but when he was two years old, he and his family moved back to Italy. Even though he was a native-born citizen, it took several years before he was allowed to enter the United States after World War II. My dad had a deep love for this country, considering he grew up under the rule of a dictator. He voted with extraordinary insight and wisdom, and he considered his right to vote a privilege. While my dad was not an entrepreneur, I am a product of his philosophy: work hard, get a good education, and lose the excuses. My dad retired from the printing trade, and my mom retired from Nabisco where she was a packer on the Fig Newton bar line. My dad ingrained the importance of a good education in me—an importance that measures quality rather than throughput. He viewed education as essential to individual freedom and the opportunity to choose our economic destiny. I grew up in Little Italy in a building that is the present location of the University of Illinois administration building. Neighborhoods were defined by parishes—mine, Holy Guardian Angel (later razed to make way for the university). Catholic/Christian education reinforced the values at home and strengthened the foundation for my personal and professional life. My faith has always been a strong influence in my life. My memories of the old neighborhood are extraordinarily special. Our apartment on Morgan Street was referred to as a “cold ﬂat,” meaning the apartment didn’t have hot water. My mom would heat water on the stove in a big pot and transfer it to a white porcelain-coated tub for our baths. I still own this tub. It is a wonderful reminder of our childhood. My childhood has helped me realize what is most important in life: God, family, and friends. I have always been a dreamer. My dreams have fueled the passion for building award-winning cars, competing in body-building, creating businesses, and being a good husband to the love of my life, my wife, Kristy. All great accomplishments begin with a dream—a vision. We all inﬂuence our destiny. Destiny is fulﬁlled though our hard work, commitment, and focus on our dreams. Dreams can move and change lives, companies, and the world. I like to believe that DREAM stands for: Deeply Relevant Emotional Ambitions with Meaning. Dr. Martin Luther King, Jr. had a dream. He was passionately committed to pursue his dream. I have made it a point to understand the essence of Dr. King’s message: All men are created equal. This essential right is deﬁned within our constitution and is based upon strong religious beliefs held by our founding fathers. History has consistently proven that straying from these core beliefs causes us to become morally and ethically confused, whether it is in business, education, religion, or politics. God’s laws are consistent and sustaining. I believe we all have the God-given gift to dream and aspire to do something that we believe is important, exciting, and purposeful. Sometimes these dreams require the help of others. I believe that our dreams are part of God’s plan to help us discover “our why.” I believe that we are all put on this earth to serve a special and unique purpose, only we must be diligent in discovering it. Sometimes, our purpose is diﬃcult to discover and we lose hope. We need to continue to question and try to discover our purpose (like George Bailey in “It’s a Wonderful Life.”) Just because others may not be able to see what we see in our dreams (the possibilities, the vision), it doesn’t mean that they aren’t feasible or valuable. Remember, they are uniquely and remarkably your dreams. I most want to be remembered as a person who “could not be bought”… an individual with uncompromising integrity and high personal and professional standards who inspired others to higher levels of performance and ethical conduct… an endearing, trusted friend… a person who never lost sight of his roots, nor became too successful to be humble and grateful to God.